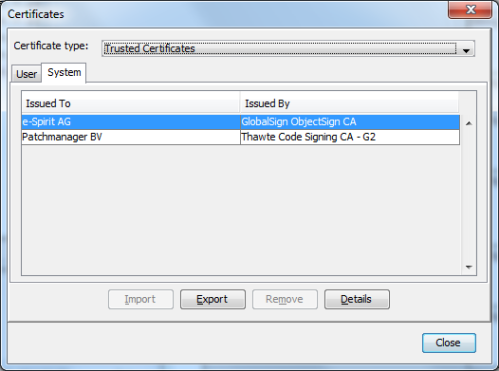 In a previous post I explained how to make sure only trusted Java applets can run outside of the Java sandbox. Unfortunately this is only half of the battle with Java on desktops. 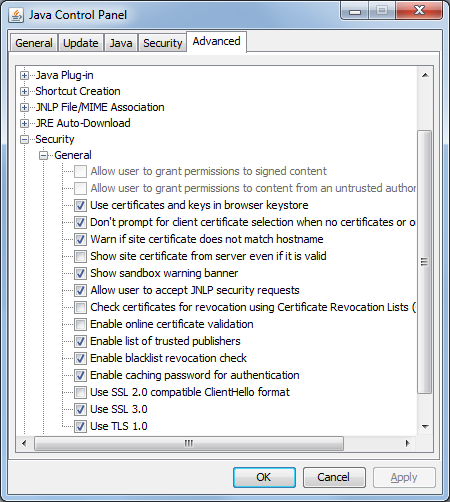 Besides Java applets that run inside a web browser, installing the Java Runtime Environment also enables the use of Java Web Start (javaws). With this technology a complete Java application is downloaded and stored locally and then started outside of the browser process. This is just as dangerous as downloading and running an executable. Java Web Start applications only run inside a sandbox when they are not signed. 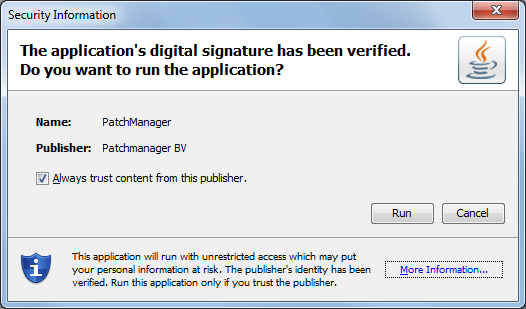 Signed apps however have access to all the files and OS APIs other user applications do. 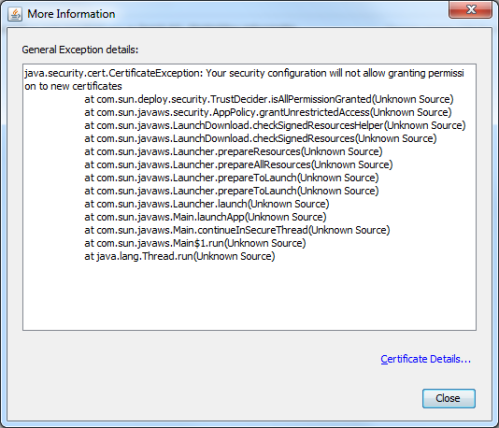 It is possible to lock signed javaws inside a sandbox using the javaws.policy file, but in this post I’ll focus on preventing unknown javaws apps to start at all. When asked for a password for the new keystore, use “changeit”. This is the password for the cacerts file that comes with JRE. 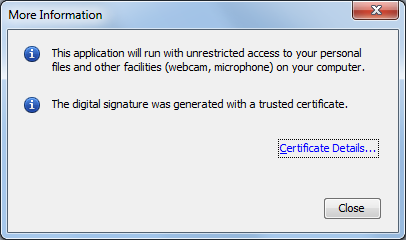 Since none of the information inside the trusted.certs file is secret there is no need to set a strong password. This will make sure only trusted Java Web Start applications can be run outside of the Java sandbox.